Great hostel with good vibes and great staff! Would definitely come back again! Amazing hostel in the Valley! Really clean room and bathrooms, beds were really comfortable and warm. Loved hanging outside by the pool and having breakfast with a view of the mountains. The staff was super helpful and nice, introduced us to everyone sitting outside when we arrived and hung out to chat with us. 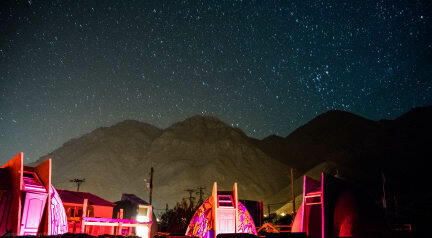 Perfect for watching the stars at night and meeting new people - it was really amazing! would definitely recommend staying here if you’re in the valley. 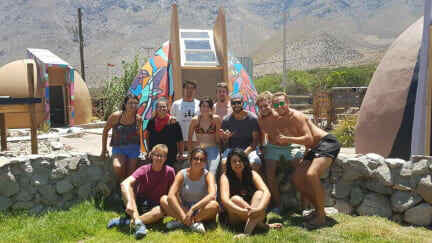 Perfect hostel for some relaxed days in the elqui valley. Nice kitchen and breakfast. Volunteers are in their group... And the bathroom is nice but the cabins for the shower and the toilets are so tiny. Not enough plugs!